No, not a view of a sunset, but a view of a beach at sunset with the sun behind us. The beach is at Sanaigmore, looking east with the Paps of Jura also visible in the distance. 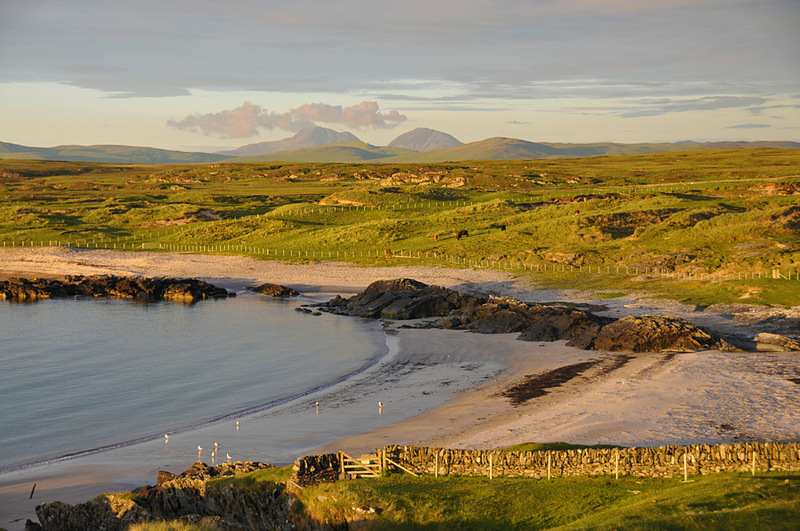 This entry was posted in Beaches, Cloudy Weather, Landscape, Repost, Sunny Weather, Sunset and tagged cattle, Islay, Paps of Jura, Sanaigmore, Sanaigmore Bay by Armin Grewe. Bookmark the permalink.